provide the perfect way to enhance your home and enlarge your outdoor living space. allow you to take interior decorating outside. 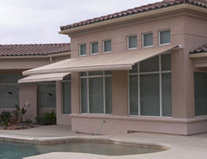 Customize your Retractable Awning to complement your décor. 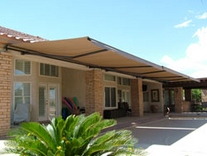 Sierra Shading can provide a Retractable Awning to cover your deck or patio. We have several models to choose from. What suits you best? An entry level Retractable Awning for your home, a custom made high quality Retractable Awning for your home, or a commercial grade Retractable Awning for your business? 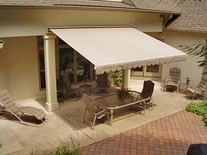 Retractable Awnings come in many shapes and sizes with Sunbrella fabric and Somfy motorization. Yes there are other fabrics and motors out there, but we only provide the best. 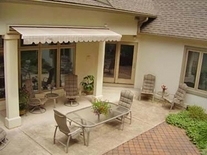 Sierra Shading has provided many families with Retractable Awnings which had enhanced their ability to host neighbors & family in the backyard. The videos to the right are just two examples of Retractable Awnings we have provided and installed.